I am sure you have failed at something in your life. I sure have. But luckily, not too many of us experience a failure as dramatic and talked about as the Virginia Cavaliers loss to the University of Maryland – Baltimore County in the first round of the 2018 NCAA Tournament. For those non-sports fans out there (don’t worry, I’m right there with you), this epic loss was the first time in the history of the tournament that a #1 seed lost to a #16 seed. That’s right, the first time EVER. And they didn’t just blow a lead at the end. They lost by 20 points. It was a humiliating defeat, and for the remainder of the tournament, it seemed like all anyone wanted to do was talk about it. As I started digging into this story, I kept coming across the phrase “painful gift” which Virginia Coach Tony Bennett has used to describe their shocking loss. The painful part is easy to understand, but a gift? He says that experience made their players better, brought them together, gave them a new sense of purpose. That adversity taught them a lot of lessons, and clearly they used them well as this year they came back to the tournament, once again #1, and won the whole thing. So it probably was a gift after all. I have watched a lot of videos of Coach Bennett (if you want to learn more, I recommend this one) and am really impressed about how he talks about building his team members as people, not just as basketball players. I think it is his thoughtfulness that really motivated his team to take last year as a (brutal) learning experience, and become more resilient humans and better teammates. Although college sports is all about money and winning, the truth is most college athletes (not to mention high school athletes) will spend more of their lives off the court than on. 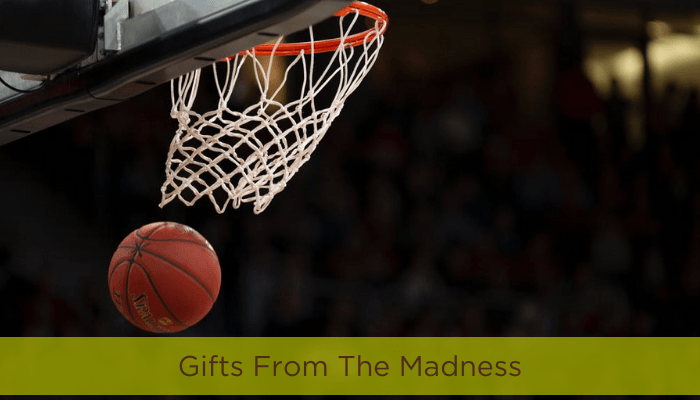 So what better gift than to help them build their core through thankfulness, humility, and passion – all of which will serve them in future jobs and relationships. With the wrong attitude, the team could have come away from last year’s experience telling themselves that they were just not cut out for the tournament. They could have easily lost faith in their system and their coach. They could have made excuses for their loss and become defensive. But they didn’t. They used it as an inspiration to come back this season and work harder to achieve their dreams. That is what endurance is all about! When you’re Thoughtfully Fit, endurance helps you have the resilience and growth mindset to overcome obstacles in any area of your life. Is there somewhere in your life, maybe coming from a place of initial failure, where you could put in the work and learn, grow, or thrive as a result? Think of it as a gift to yourself. It may not be easy, but it doesn’t have to be painful. To learn your lessons pain-free, reach out to our coaches! They can’t teach you to play basketball but we think they’re pretty great. And come back next week to hear what DLCC Coach Ndidi Yaucher has to say about the value of sports in her family, life and business.